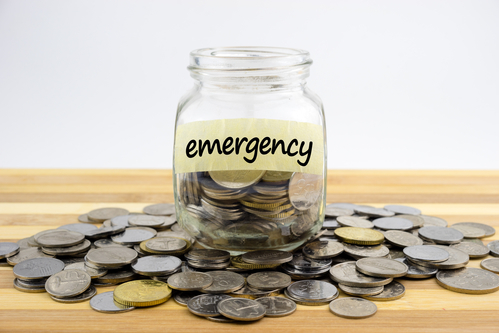 Your emergency fund is one of the most important funds you could ever put together. It is not to diminish the importance of your retirement fund or even a college fund for your children. However, your reserve funds will play a crucial part in helping you achieve your short and long term goals. Debt problems will always be a part of life and when it comes, you want to be prepared. It can come from different areas in your life and you never know when they will show up. Once your income takes a hit, it will affect a lot of areas in your life. When that happens, you want to be prepared as much as possible. For a lot of people, this is just a disaster waiting to happen. This is because Time recently shared that an average household has about $16,000 when it comes to credit card debt. This means that with this amount of debt, there are a lot of people who are just one emergency away from total financial disaster. What is more troubling is that this only reflects credit card debt. There are other types of debt that can be posing a potential problem in your finances. This only underscores the importance of having an emergency fund. As you put together your reserve funds, here are some of the reasons you need to have them in the first place. As the name suggests, your emergency fund is meant to help cushion you from emergency situations in life. There is no way to predict what will happen tomorrow and the best way to be proactive in preparations is to set up your emergency fund. The sooner you accomplish this, the better. What you are trying to avoid is being caught in a situation where your income is affected and you have no reserve funds. This scenario can ripple out to various areas of your finances putting you in a tailspin. You might see your funds dive into debt and you would be forced to operate in the red. When push comes to shove, you could be forced to look for other sources of money just to get by. When this happens, one of the most usual suspects would be your retirement savings. If you have been saving up for it with a 401(k) or using other savings fund, you would be highly tempted to dip into that fund. One reason for this is the fact that you do not have a use for it in the immediate future. What you are thinking is that you can easily put the amount back. As soon as you are over your financial problems, you can save up again. The problem with this is that you tend to lose compound interest and end up with a lower nest egg in retirement. This is similar to your retirement fund in terms of why you would consider using it. The money is just there sitting in the bank. Depending on how young your children are, they might not have a use for it at the moment. Again, you believe you can put it back the moment everything goes back to normal. The NY Post shared that only about 48% of parents save for their children’s college fund. Less than half of their respondents took the initiative to help their children pay for higher education. However, there is a good chance that you have some sort of fund for your children. It can be for3r college, insurance or even as a gift when they reach a certain age. The bottomline is that when you do not have an emergency fund and you encounter problems, you might dip into this fund as well. USA Today shares that there are a few acceptable reasons on when you can max out your credit cards. It can be for the rewards where you pay them off at the end of the month. It can even be for times when you consolidate your debt with a 0% credit card rate. However, your lack of an emergency fund could also lead to a maxed out card. You might easily forget that your card limits are not representative of actual money you have. They are pre-approved loan amounts that you can take out at any given time. It is important to remember that when you are in a bad financial position, repayment on loans is a challenge. When you are unable to pay back your credit cards, your balance becomes bigger every missed due date. This is because you have to pay penalties, interest, and other fees on the account. When you no longer have any accounts to dip into, your next course of action is calling up people you know to borrow money. First on your list would be family and close friends where you use what people refer to as relationship equity. The closer you are to the person, the higher your chances of being able to borrow money. The problem starts when you miss out on your payments. Think of what happens when you miss a payment on your car. Your lender can repossess and take back the car that was used as equity. When borrowing money from other people and you cannot pay them back, it puts a strain on your relationship. This can lead to burned bridges and the inability to reach out to them in the future. For people who own their home, one of the options on the table is using their house as a collateral. This is a tough one because there are a lot of people who are not ready for a mortgage loan. Taking out a loan using your house brings with it a lot of advantages and disadvantages. On one side, the interest rate can be very low since it is considered as a secured loan. What you need to understand is that you are at risk of losing your house. If you are unable to meet your payments, your lender has every right to exercise their lien on your property. What this means is that they can take your house and sell it to other people to recoup their losses. This is one of the reasons why your interest rate can be lower than most debt accounts. It is because your lender is assured of a collateral they can sell off in case you miss your payments. Emergencies will come unannounced and there will be a big chance that your financial needs will be immediate. It can be for an unexpected car repair or even for a medical need. If you do not have any funds set aside, you could be forced to sell the things you need just to get by financially. It can be items you use for your hobbies such as photography or baking or even your car and other items you use at home. You have a higher chance of selling things you use because you know its value. At the end of the day, you can be looking at an empty living room or all your gadgets gone for good. It is important to have an emergency fund because it will help you stay on track and keep your finances intact. The sooner you get started with it, the bigger amount you will have.